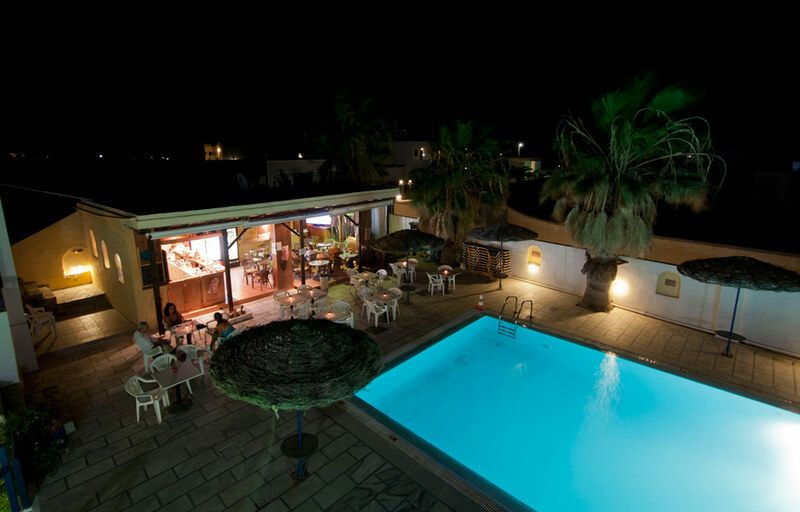 Welcome to Iliada Hotel Our traditional 2* hotel ILIADA lies ~100 m from the famous Black Beach in Perivolos. The Black Beach is worldwide known for its crystal clear waters, as it gets the Blue Flag every year. It is a long beach (~7 km) and well organized. 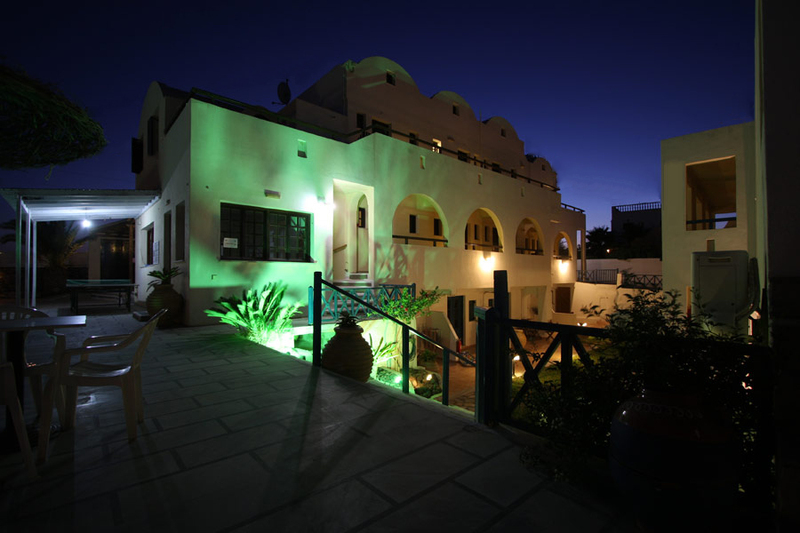 It satisfies all guests as it offers calm, relaxation, water sports, beach bars, restaurants etc. 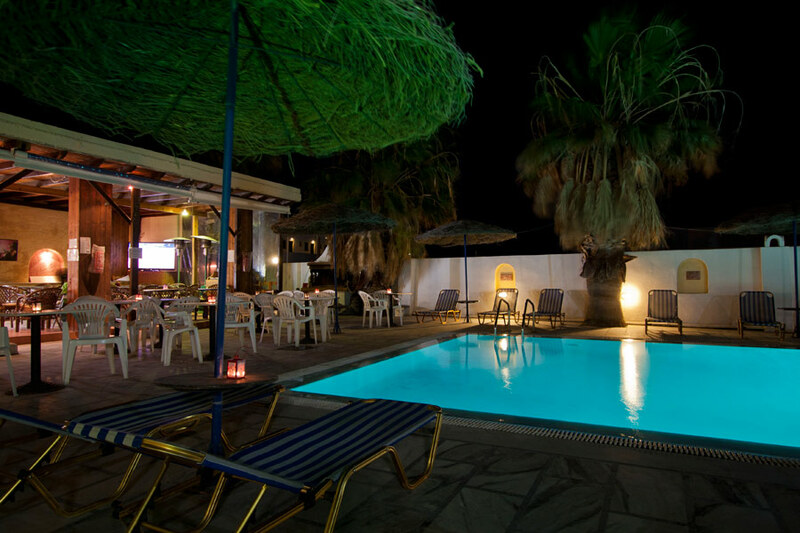 ILIADA HOTEL is close to the village of Perissa (~ 800 m) ideal for a short walk and far enough to be quiet. 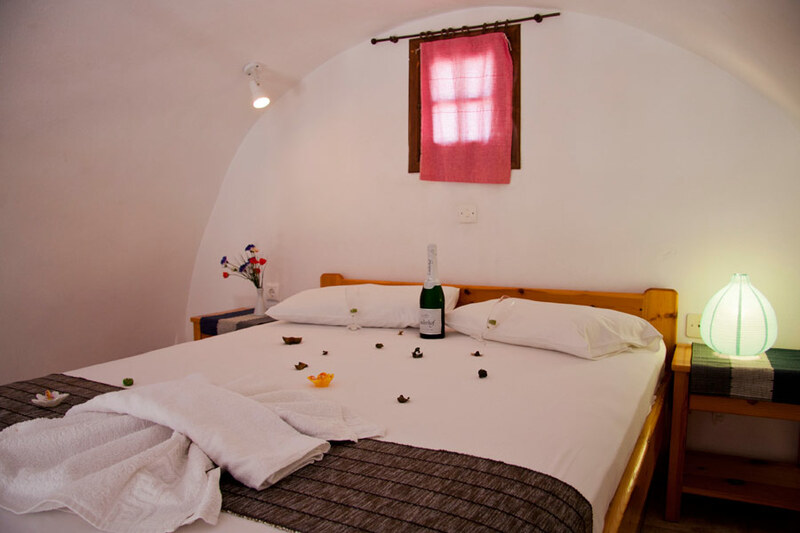 It is decorated - externally and internally - according to the Cycladic architecture. The hosts are here to help you, suggest you and serve you with the best way. They always welcome you with a smile and friendliness. 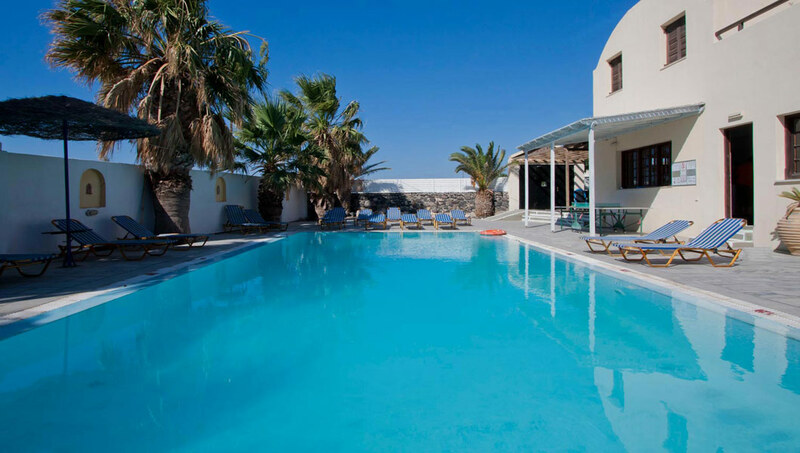 ILIADA HOTEL will become your … favorite vacation home Welcome to our home … your house. The House is just what its name means. It�s our home, your house… it�s the ultimate summer destination for those looking for some privacy, serenity, relaxation, luxury and truly distinctive hospitality. 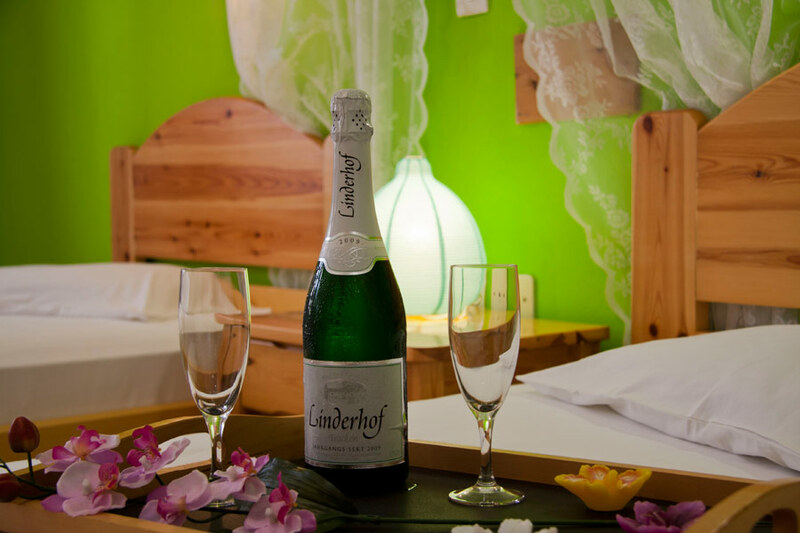 Our home is the way to consort all your senses with the natural environment. 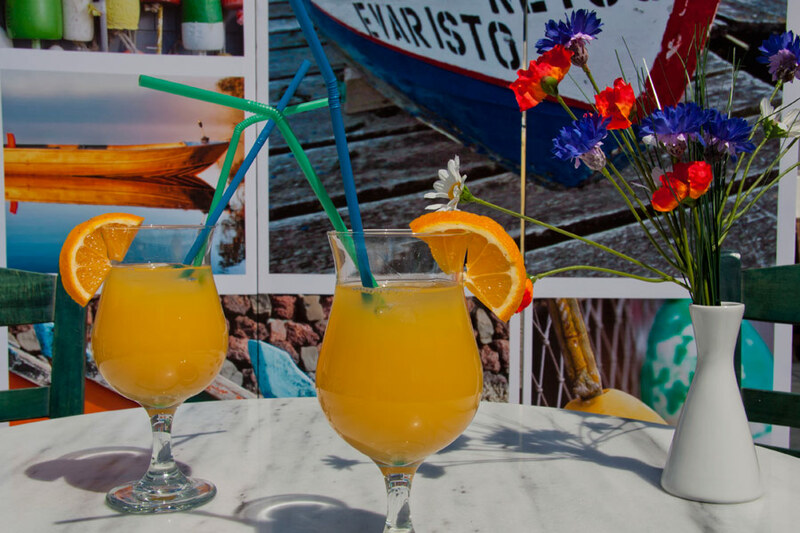 ILIADA HOTEL opens its door and welcomes you with the summer colors and scents. 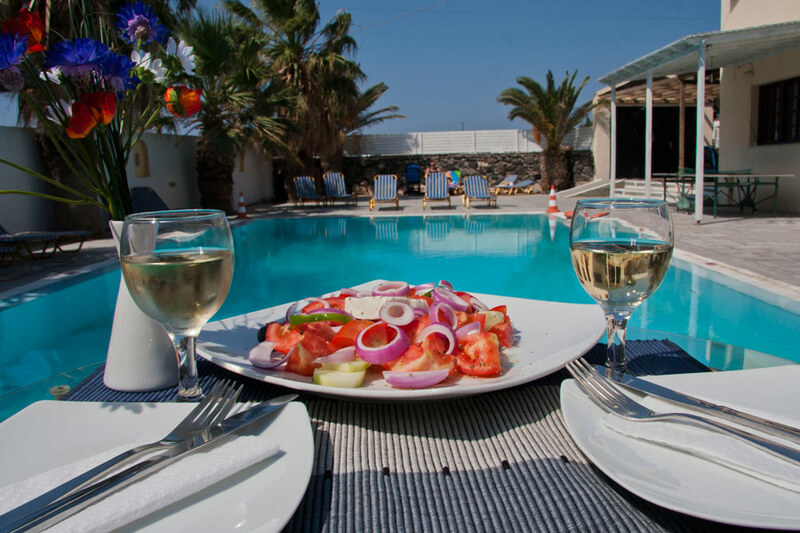 It invites you to enjoy your coffee or breakfast by the pool. 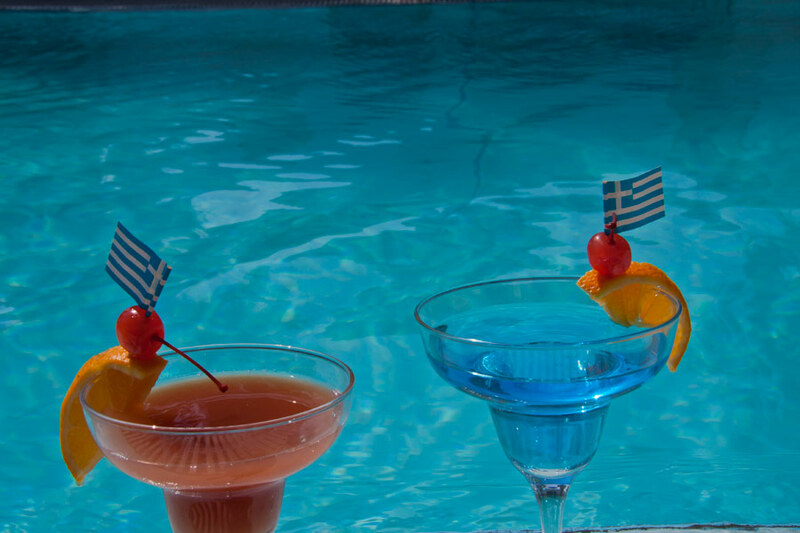 ILIADA HOTEL has something from your home, a lovely pool to relax under the sounds of lounge music and a Jacuzzi. 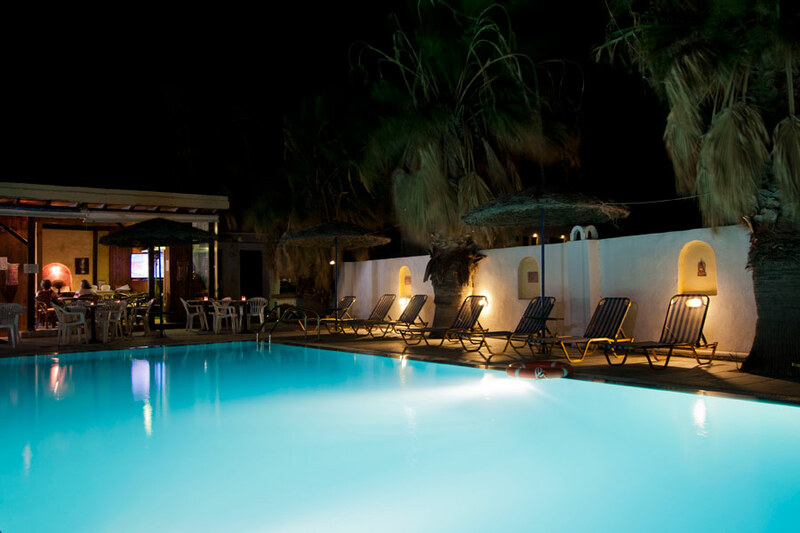 The atmospheric Poolside Bar will give you moments of relaxation from early in the morning until late at night. 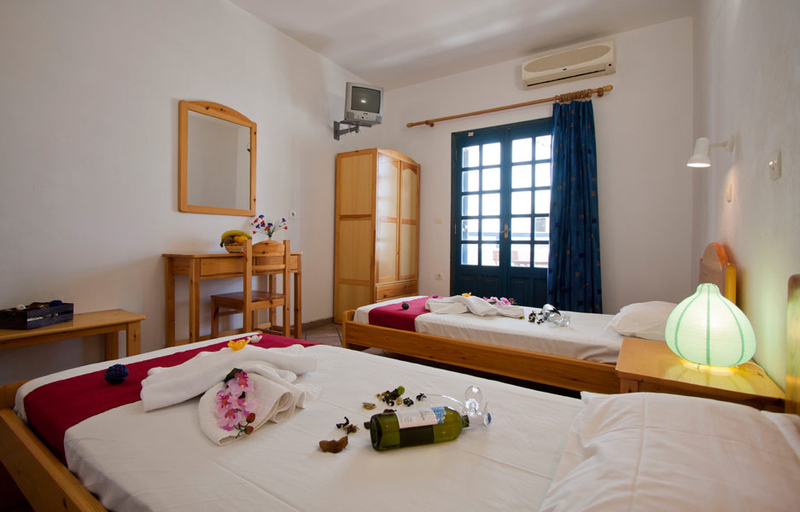 Just a few minutes away from the sea, ILIADA HOTEL features 20 studios and 5 Maizonette style Suites. 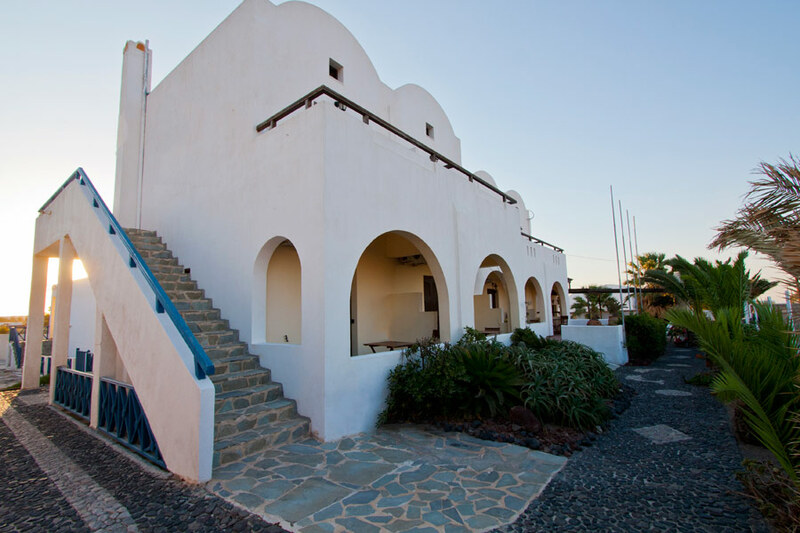 All of them are decorated according to the traditional Cycladic style, while each one has different colors. White prevails, with touches of intense colors that create a warm and hospitable atmosphere… Discover them!